James Hardie cement board is the second most popular siding choice here in Alberta. 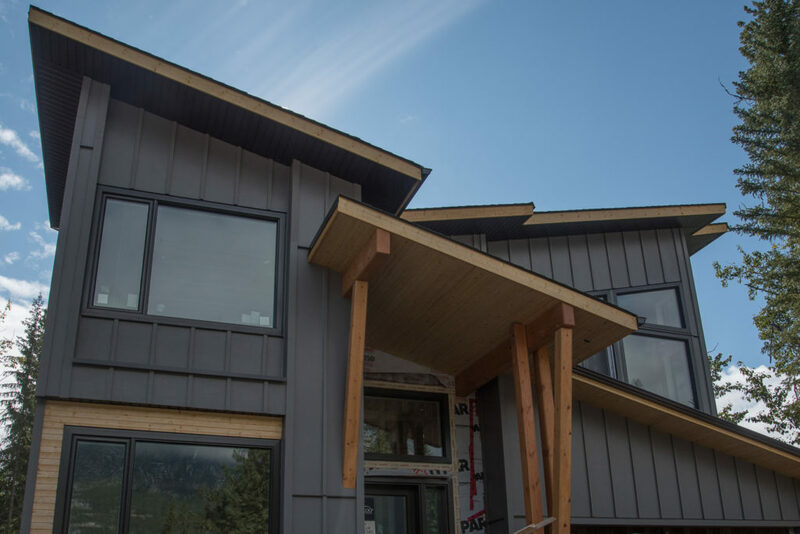 James Hardie siding will withstand all the elements that Alberta’s weather can throw at it. James Hardie cement board is hail resistant, fire resistant and bug resistant. Hardie cement board is also backed by one of the best transferable warranty around. With the Colorplus paint warranty running for 15 year and the Cement board warranty is for 30 years. Let’s take a look at the James hardie Cedarmill plank. By far the most popular width in Alberta is the 7 inch revel. It has the texture of real wood and comes in 23 colors. You can get the Cedarmill HardiePlank in 7 inch revel, 6 inch revel, and 5 inch revel. You can also get it in a smooth finish which is not as popular in Central Alberta. 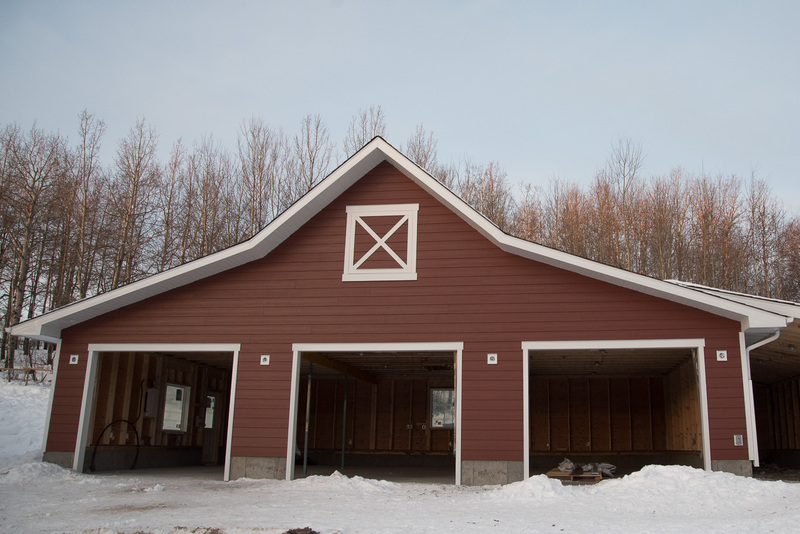 If you like the look of vertical siding, then you might like the look of board and batten. With James Hardie panel combined with some hardie trims nailed uprite you can recreate the look of vertical siding. James Hardie panels are smooth panel, Cedarmill panel, stucco panel, and come in 4×8 sheets or 4×10 sheets. The most common one we use here in alberta is the smooth and you have a choice of 23 ColorPlus color choices. For those accents, like in a gable or if you want a feature wall to show off you new house. 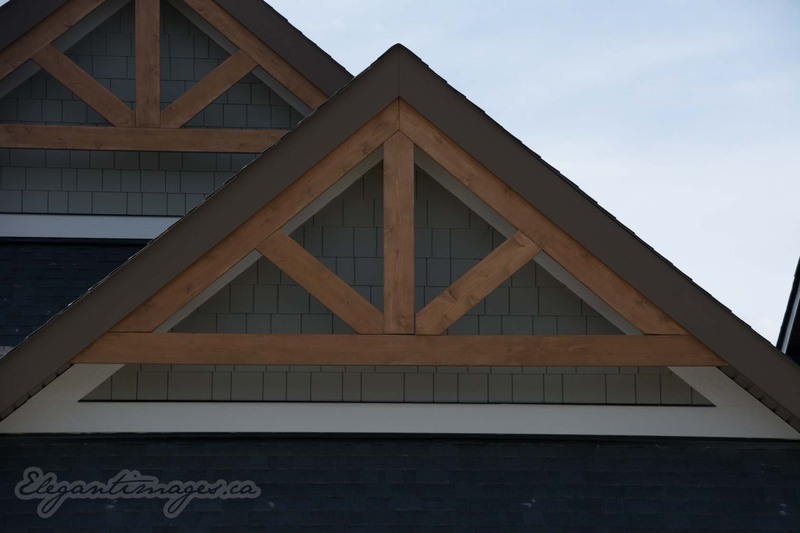 James Hardie Shingle come in two different styles. You can get Staggered shingle or Straight shingle. The straight edge covers 7 inches per panel where as the staggered shake has a 6 inch coverage. You can get both the Staggered and straight James Hardie Shingle in 23 different colors. Hardie trims come in all the standard widths, 4 inch, 6 inch, 8 inch, 10 inch, and 12 inch. James Hardie trim come in 12 foot lengths and in rough sawn profile or smooth. The width is a 5/4 width. James hardie has its own fastener system, where the installer uses clips stapled on the back of the trim and then the tabs are nailed to the wall. When the installer uses this method of attaching James Hardie Trims there is very few nail holes exposed. One of the drawbacks is that the James Hardie trims just come in 10 different colors. (Arctic White, Cobblestone, Iron Grey, Midnight Black, Khaki Brown, Monterey taupe, Timber Bark, Navajo Beige, Woodstock Brown, Sail Cloth) So if you wanted a different color we would have to have it painted for you. These are used in the installation of board and batten. These battens come 2.5 inch wide and are 3/4 inch thick. 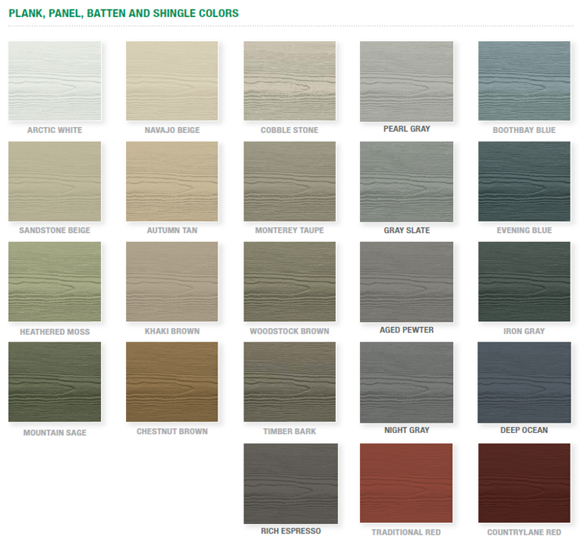 James hardie Battens come in all 23 colors They come smooth or rough sawn. 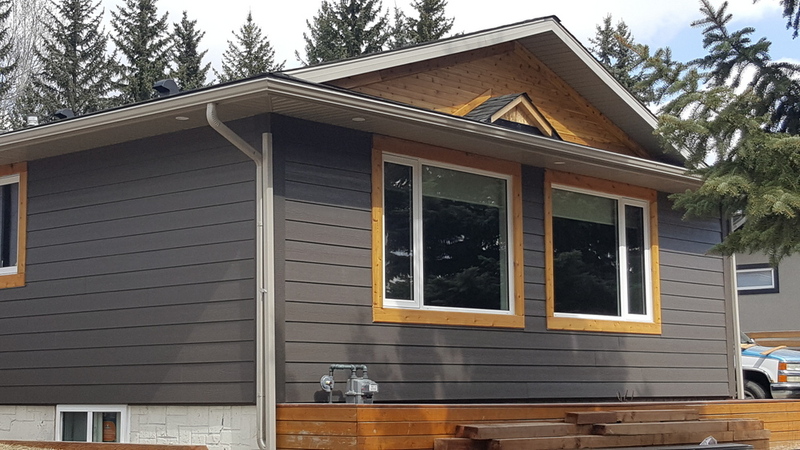 Here in Alberta we have 23 choice of James Hardie Colorplus siding, Hardie Shingle, Hardie Batten and Hardiepanel. 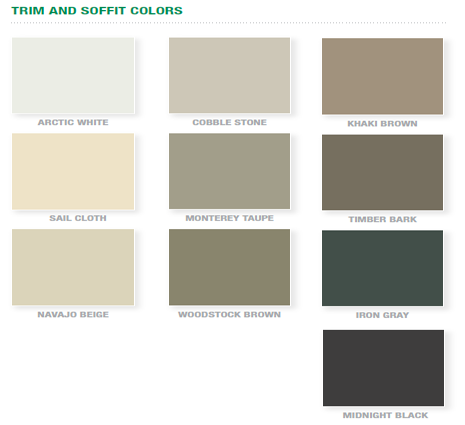 You also have a choice of 10 colors for James Hardie Trims. Below is a color pallet of what colors are available in Calgary and area. More Information about James Hardie Products in Alberta. Here is a pamphlet from roofmart to download for more info. Download the 30 year warranty from James Hardie. This entry was posted in James Hardie Siding. Bookmark the permalink.